As increasing number of power grids are being installed and upgraded across several developing nations of the world, the demand for remote terminal units is slated to fire up rapidly on a global basis. Furthermore, the growing cross-border connections alongside rising grid monitoring activities and data analysis are other factors accelerating the growth of the global remote terminal units market. New products are being launched by several major companies. For example, in May 2017, ABB introduced its CMS-700 energy monitor and control unit in order to provide easy access while collecting data and analyzing it. Featuring an advanced open-core sensor, the new system helps in the management and optimization of energy efficiency. Similarly, an upgraded version of its dynamic lift optimization (DLO) software by Emerson incorporates an advanced remote terminal unit. The solution has been designed to reduce footprint as well as weight, when compared with a conventional system. The emerging markets such as Indonesia, Malaysia, China, India, Nigeria, Brazil, Singapore, and Argentina are hubs of opportunities for the progress of the global remote terminal units market. The growing popularity of automation across a number of industries has enabled greater deployment of this multipurpose device. Because the most important components of remote terminal units are storage, processor and memory, it is quite similar to a computer. As a result, remote terminal units are being increasing used as an intelligent or master controller of other devices, enhancing the process of automation. Over the oncoming years, the international demand for remote terminal units is therefore expected to multiply. A remote terminal unit is a microprocessor-based device, connected to process equipments, transmitters or sensors, for the purpose of remote telemetry and control. RTUs with the aid of appropriate sensors, monitor the status of the process via digital and analogue inputs. They provide control outputs to switch plant such as circuit breakers and tap changers. In the oil and gas industry, during the drilling process, RTUs are used to transmit drilling mechanics, and rock formation information up-hole, in real time. These services are known as logging while drilling and measurement while drilling, Schlumberger's Pulse Technology is a perfect example of this. During the process of drilling, tools use this methodology to send information acquired thousands of feet below the ground. The pressure wave is then translated into a useful information after DSP (Digital Signal Processing) and noise filters, and is later used for drilling optimization, formation evaluation, and geosteering. The advent of improved technology for process monitoring and data transmission has dominated the market drivers for remote terminal units. With improved SCADA (Supervisory Control and Data Acquisition) regulations by various governments across the globe, and increased threat of data security, organizations are now looking at the latest technologies for remote terminal units. Developing markets and new drilling areas also contribute to the growth of the RTU market for oil and gas sectors. Despite the growth factors, the industry does face a few challenges. In the European and North American region, RTU system has been established since the 1970s, and there remains no scope for new installations, in other words, markets of these regions have reached a saturation point. Also, significant financial investment is required to lay down a network across regions and to establish RTUs at inaccessible locations. However, with new fields being discovered in the Asia Pacific region, there is a scope for growth. Based on the mode of application, the RTU industry is classified into: RTUs for Oil and Gas Wells and RTUs for Compressor, Pump or Valve Stations. A further classification can be made on the basis of the industry such as power, oil exploration or pipeline management. Also, based on the connectivity, RTUs may use telephone hard lines or wireless transmission systems. 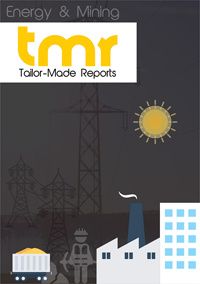 Geographically, the remote terminal units market is currently concentrated in the Asia Pacific region due to initiation of major oil exploration projects as well as power grid expansion in India, China, Malaysia, and Indonesia. In the Rest of the World, the Middle East, Africa, and Latin America is also witnessing a similar trend. Whereas, the European and North American regions are expected to see a significant decline in the demand of RTUs, as the market already has a well-established SCADA network. Some of the major companies involved in the manufacture and integration of remote terminal units are: TopRank Corporation Sdn. Bhd., ABB Ltd., Schneider Electric SE, Siemens AG, General Electric Company, and Schweitzer Engineering Laboratories, Inc.